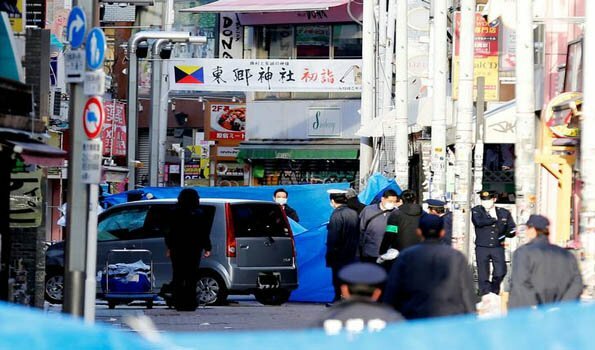 Tokyo: Nine people were injured in Tokyo's Shibuya Ward on Tuesday when a man rammed his car into pedestrians on a well-known shopping street in what he claimed was an act of terrorism, authorities said. Police arrested Kazuhiro Kusakabe, 21, who was driving the rental car with an Osaka license plate, on suspicion of attempted murder. Investigative sources quoted the man as saying he had perpetrated an act of terrorism "in retaliation for an execution" and "would not make any excuse" for his act. It was not immediately clear whether he was referring to a specific execution or Japan's system of capital punishment. Kusakabe told the police he had driven from Osaka and intended to kill the pedestrians he hit. There was a tank of kerosene in the rental car, which he said he planned to use to burn the vehicle, the investigative sources said, reports Kyodo news . The incident took place on Takeshita Street in the Harajuku district close to Meiji Shrine shortly after midnight. The street was closed to vehicular traffic at the time as it was expected to be crowded on New Year's Eve and New Year's Day.Eight people were hit by the car, including a teenage boy who is in critical condition, the police said. Another man was slightly injured when Kusakabe allegedly struck him after getting out of the car, the police said.Kusakabe fled the scene, but the police found him in a nearby park about half an hour later.